From the beginning of the Mexican Revolution in 1910, the United States Army was stationed in force along the border and on several occasions fought with Mexican rebels or federals. The height of the conflict came in 1916 when revolutionary Pancho Villa attacked the American border town of Columbus, New Mexico. 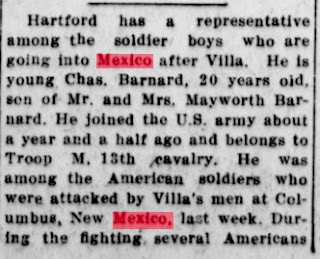 In response, the United States Army, under the direction of General John J. Pershing, launched an expedition into northern Mexico, to find and capture Villa. Though the operation was successful in finding and engaging the Villista rebels, and in killing Villa's two top lieutenants, the revolutionary himself escaped and the American army returned to the United States in January 1917. Conflict at the border continued, however, and the United States launched several additional, though smaller operations into Mexican territory until after the American victory in the Battle of Ambos Nogales, leading to the establishment of a permanent border wall. In 1918, International Street ran right down the center of Ambos (“Both”) Nogales. Arizona lay to the north; Sonora to the south. The railroad depot, stores and saloons straddled the border. If one lived in Nogales, Arizona or Nogales, Sonora it made little difference socially – the residents from either side occasionally brawled over women or too much mescal, but for the most part they enjoyed friendly relations and shared the benefits from the local economy based on smuggling cigars, liquor, firearms and cattle. There had been a few skirmishes in the past (as when Pancho Villa had ridden into town), but still there was no fence down the middle of International Street. The residents understood the protocol – they were expected to cross at one of two entry points, either at Morley Avenue or farther west at Grand Avenue. When trains arrived at the border, First Class passengers could ride across in the cars, while those in coach got off the train, walked and then re-boarded after passing through customs. On August 27 a carpenter named Gil Lamadrid was walking back into Mexico. As he crossed the border, a U.S. Customs Inspector ordered him to halt, curious about the large parcel he was carrying. Only a few feet away, Mexican customs officers directed him to ignore the summons and continue into Mexico. Gil Lamadrid became confused and hesitated as the two competing groups of customs agents shouted instructions to him. At this point, a U.S. Infantryman raised his Springfield rifle to encourage his return. In the midst of the ensuing commotion a shot was fired, and the carpenter dropped to the ground. 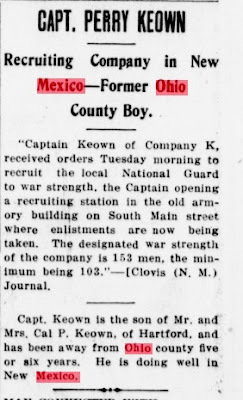 Thinking that the man had been shot, a Mexican Customs Officer grabbed his pistol and opened fire on the U.S. guards, wounding an army private in the face. A U.S. Inspector drew his revolver and returned fire, killing two Mexican Customs Officers. Shaken but unhurt, Gil Lamadrid jumped up and sprinted down a nearby street. As the sound of gunfire rattled the neighborhood, citizens on the Mexican side of the border ran to their homes and picked up rifles to join the Mexican troops. The U.S. border authorities panicked – World War I was being fought in Europe and the Germans had been urging the Mexicans to abandon their neutrality. Was another front in the war now open? A troop of Buffalo Soldiers was called into town. 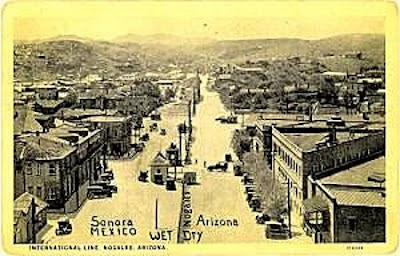 Under heavy fire, the 10th Cavalry dismounted and crossed the border into the streets and buildings of Nogales, Sonora. Looking for a tactical advantage the troops mounted an assault on the heights immediately to the east of the towns, while militia on the Arizona side started firing their weapons from the windows and rooftops of their houses. Late in the fighting, members of the 35th Infantry placed a machine gun on top of a stone building and fired into the Mexican positions. As the violence escalated, the Mayor of Nogales, Sonora, took a white handkerchief, tied it to his cane, and ran into the streets of his city in an attempt to quell the violence. As U.S. troops crossed to the Mexican side of International Street he pleaded with the angry crowd to put down their weapons. A shot from the Arizona side felled the Mexican mayor. About 7:45 PM, the Mexicans waved a large white flag of surrender over their customs building. After the battle was over and the dead were buried and peace restored, the U.S. and Mexico authorities agreed to divide the two border communities with a chain-link border fence, the first border wall put in place between the two countries.